Company culture is at the center of everything we do at Namely, from our product to our staff. One of the joys we have is using our own HR platform to keep our people engaged and growing. Today we are thrilled to announce that we have been named one of the Crain’s 2015 Best Places to Work in New York! The survey and awards program—now eight years in—identifies, recognizes, and honors the best 100 employers in New York City. The ranking is based on an assessment of workplace policies, philosophy, demographics, and employee experience as reported by staff. The award follows our recent gold medal in the 2015 Best in Biz awards in the Fastest Growing Midsized Company category. Every company has its set of core beliefs, and there are certainly a few that are near and dear to us. Part of what we think makes Namely a special place to work is our transparency. The Namely office sports glass-walled conference rooms and no personal offices. But it goes further than the fixtures. 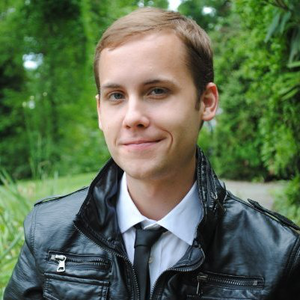 Our company board deck is seen by all employees each quarter, and our CEO Matt Straz also has an open AMA (ask me anything) policy. Secondly, diversity isn’t just a word to us at Namely. For one, it’s well-represented in our leadership: Half of our most senior executives and two of our three C-level execs are women. But a variety of perspectives is also at the heart of how our whole staff creates innovative work. We come from all sorts of backgrounds, with all sorts of skill sets. 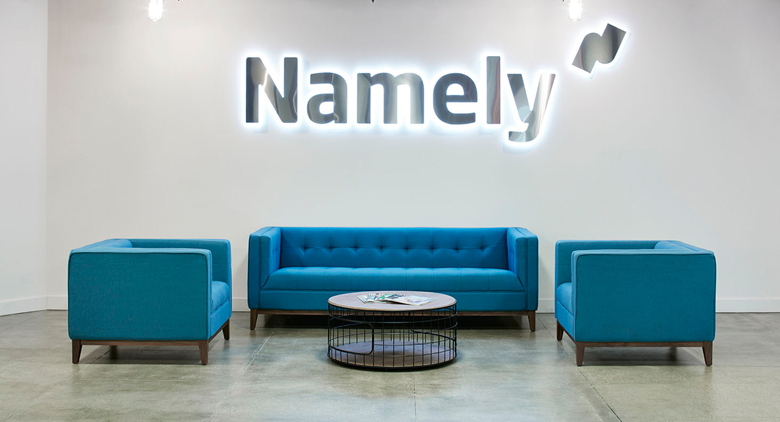 At Namely, our employees feel at home. Finally, our company was founded on principles of growth: from the growing companies we support daily, to the speed we continue growing our own. Furthermore, we believe it’s through a sense of meaningful work that every employee grows personally. We have a fully-funded professional development program to keep our staff learning in the best ways they know how. Our employees also find meaning in giving back to the community, including working at soup kitchens during new employee onboarding, volunteering for Move This World, and participating in charity runs sponsoring female STEM education. Most exciting of all: We’re still scaling up, daily. Check out our jobs page to see all of the positions we have available. Of course, you do also need some great digs to house your great people. You’ll find our brand new New York office inside the former AT&T building on Broadway in the Financial District. Although it does have all the amenities—bike racks and showers, monthly fully catered company meetings, an arcade, game room, and stocked bar—we’re careful not to lose sight of the culture that those perks support. Living your values is what makes the world’s best brands hum. We continue to work hard to evolve a product that helps other companies grow theirs. Let’s all continue building awesome places to work—one culture at a time. For more information on the Best Places to Work in NYC program, visit bestplacestoworknyc.com. To stay up to date on Namely news, subscribe to our newsletter!